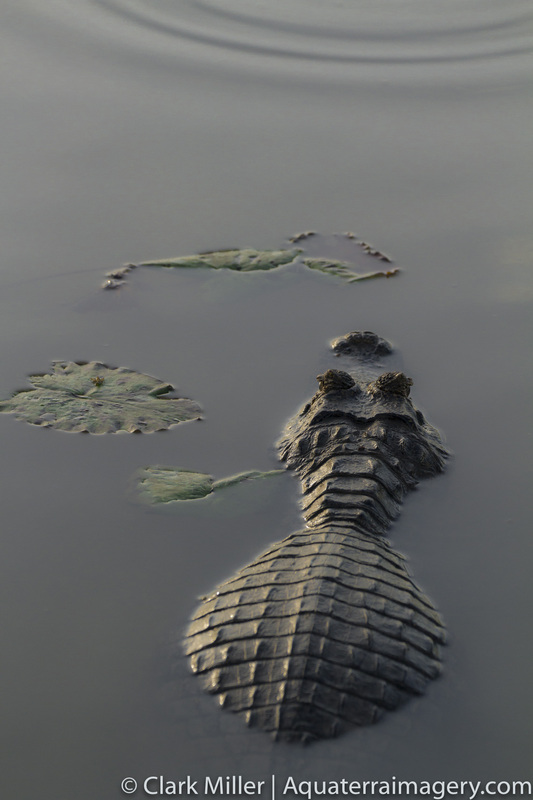 The caiman in the Pantanel in Brasil waits in the calms waters at the break of dawn for anything that might be stirring. The air is so still that the water tension can be measured against the lilly pads. A slight disturbance a short distance away might give away an unwary trespasser.